Michael McFarland recently notified me that he released a new novel—apparently the first book he’d ever written. I’ve thoroughly enjoyed McFarland’s work in the past, so I was naturally excited to hear the news. Then it dawned on me that I haven’t shared my reviews of his work on my blog. Not sure how that slipped past my ever vigilant radar (not difficult, I suppose). 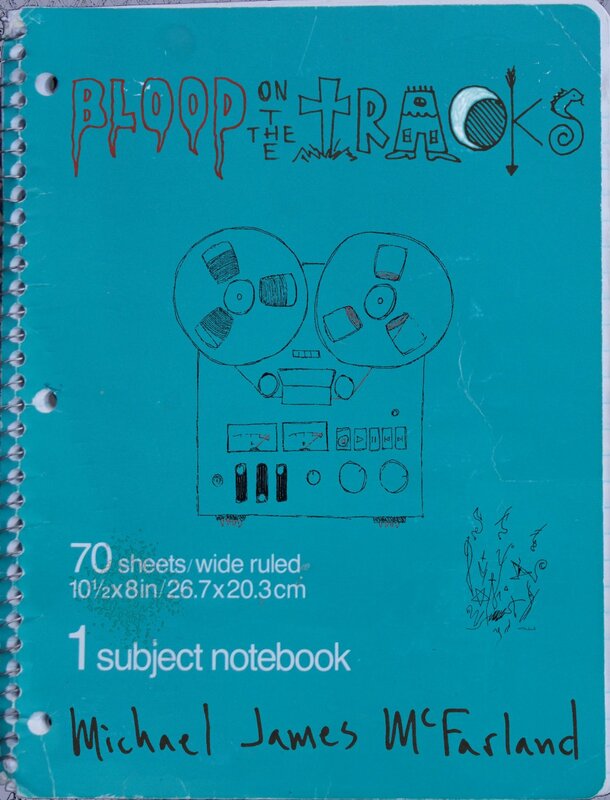 Here is my review of Michael McFarland’s most intriguing novel to date, BLOOD ON THE TRACKS, plus a quick review of a novella he published a year or two ago, DUPLEX. Both excellent supernatural horror/thrillers. Trust me, either novel will impact your electric bill—you’ll find yourself turning on ALL of the lights to walk around at night! Michael McFarland delivers a brilliant supernatural horror novel with his latest release, Blood on the Tracks, landing him a place next to masters of horror like Stephen King and Blake Crouch, on my must read list. The story terrified me from start to finish, leaving me afraid to walk around in my own home. This is not an exaggeration. There is something so menacing and chilling just behind the surface of the novel’s narrative, that my imagination ran wild, conjuring up images and concepts of what lurked in the Condon House. McFarland primarily delivers the tale through the eyes of Detective Gary Murdoch, summoned to the fated Condon House to investigate the latest tragedy to cast a shadow over the house: The suicide of a rising musical artist, with eerie and inexplicable links to the house’s bizarre and twisted past. As evidence mounts to suggest horrible undertakings within the basement’s recording studio, the final pieces of the Condon House mystery start to fit together, culminating in a finish that left me speechless. There is considerable history surrounding McFarland’s fictional mansion and its deceased inhabitants, starting with lumber magnate John Bradford Condon and focusing on controversial poet/songwriter Ian Ellison. The author does such a good job weaving this history into the story through old journals, news clippings and interviews, that I was left wondering what was real and what was fiction. I hope it was all fiction, because the integration is disturbingly realistic, which in my view is why the story scared the daylights out of me. Like McFarland’s other work, the novel is well written, with vivid descriptions and natural dialogue. Well paced, building tension from start to finish, the story will keep you turning the pages or clicking the buttons. I am very eager to read McFarland’s next offering. Michael McFarland has created novella worthy of inclusion in any of Stephen King’s anthologies. The novella incorporates a perfect mix of supernatural suspense and pure human malevolence, to leave the reader reeling with a dominant sense of helplessness, and a sliver hope, even at the most disturbing moments in the story. For a novella, the plot is perfectly paced, launching the reader into immediate distress, and dragging it out just long enough until the ceiling caves in. I found myself attached to the protagonist, and intimately concerned with the family’s situation. What happens to the family, is for the reader to discover. As a huge fan of Stephen King’s writing, I stand by my statement, that this story has all of the elements I’ve grown to love and seek out in Stephen King’s short stories. 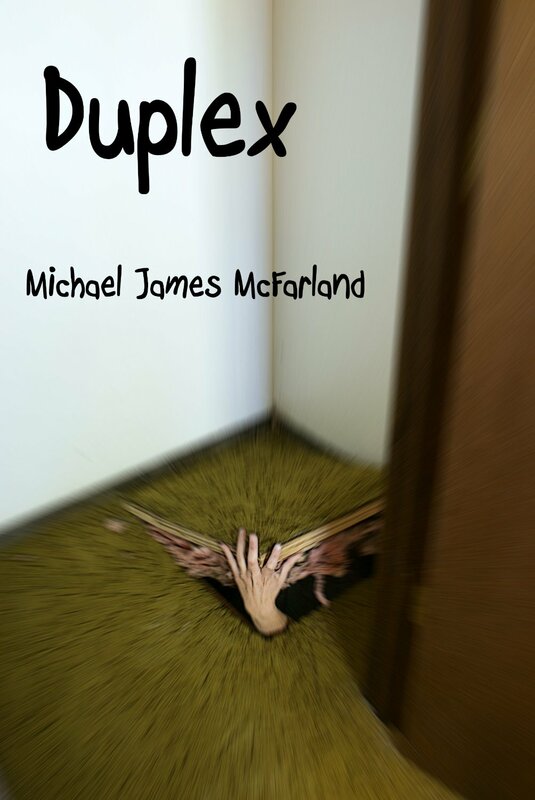 Michael McFarland has a bright future in the horror genre, if “Duplex” is any indication of the stories rattling around inside of his head.